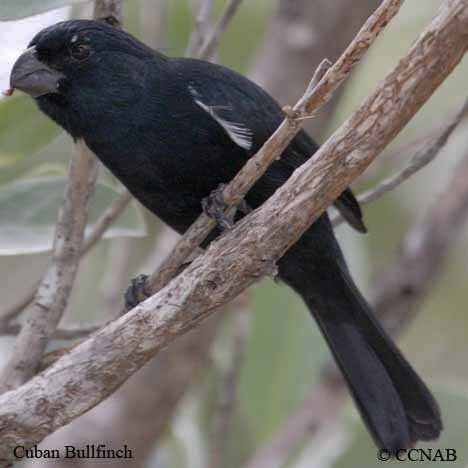 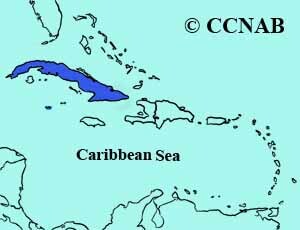 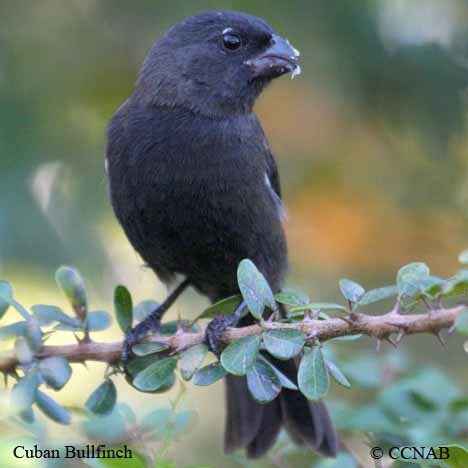 The Cuban Bullfinch is a possible vagrant visitor to the southern states one day from Cuba. 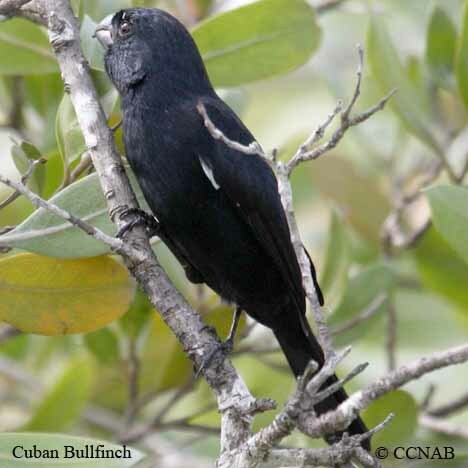 Also, this bird is reported on the Cayman Islands as well. 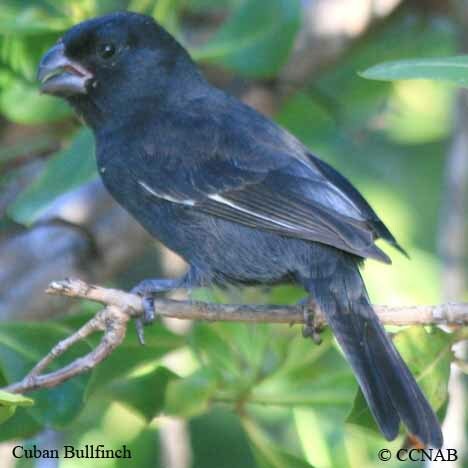 Depending in what light this bird is seen from, it may appear black or a very dark blue. 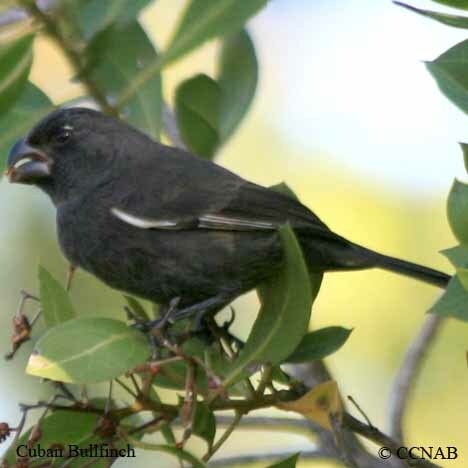 It can be found in a forest surroundings, where there are trees bearing fruit.